Good news Rush fans! 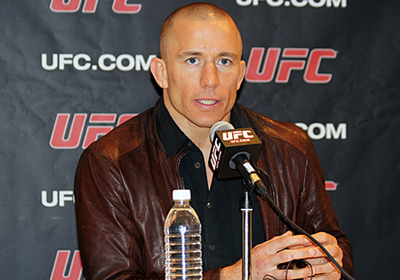 The UFC welterweight champion, George St-Pierre, did not sustain any permanent damage to his vision this past Saturday at UFC 129. He just need to recover. After a long and plodding five-round fight, the welterweight champion – George St-Pierre – acquired an eye injury at UFC 129. He was poked in the left eye by one of Jake Shields’ open-hand strikes. He suffered internal bleeding, which severely affected the his ability to fight. After the GSP vs Shields bout, the former immediately informed Joe Rogan about the injury. George St-Pierre did not attend last Saturday’s post-fight press conference, and was sent straight to an area hospital. He later issued a tweet as he left. Following that, GSP downplayed the severity of the injury by saying that he did not sustain any retina problem on his official Twitter account. His trainer, Greg Jackson, estimated that it will take the champion a month for full recuperation.